14k Rose Gold Vintage Engagement Ring | Shane Co. 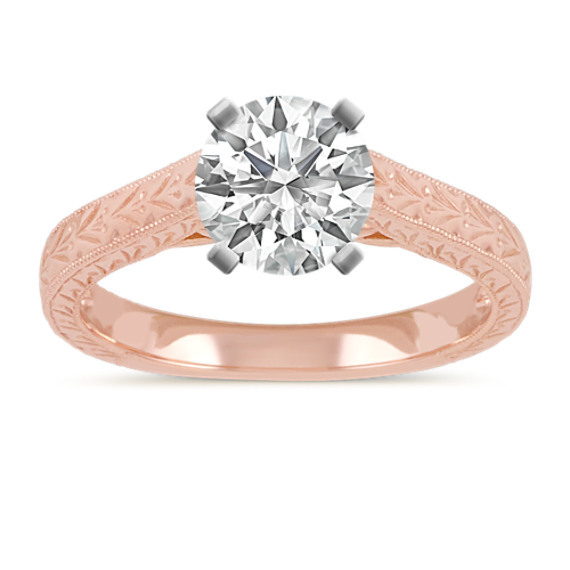 The center diamond of your choice will look ravishing in this engagement ring crafted of quality 14 karat rose gold. The 2.5mm ring features a vintage-inspired detailing and rises in a cathedral style.